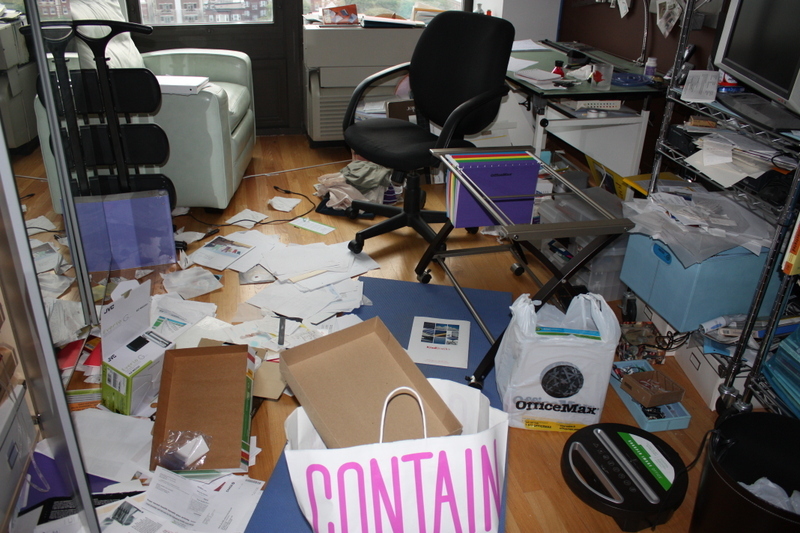 In August, I dealt with the Supreme Paper Mess in my study. After I was done, my treat was to unwrap the adorable little document box I'd gotten at the Container Store some weeks before and put it on my desk to work as my new paper catch-all, the rule being that when it's full it's time to file. 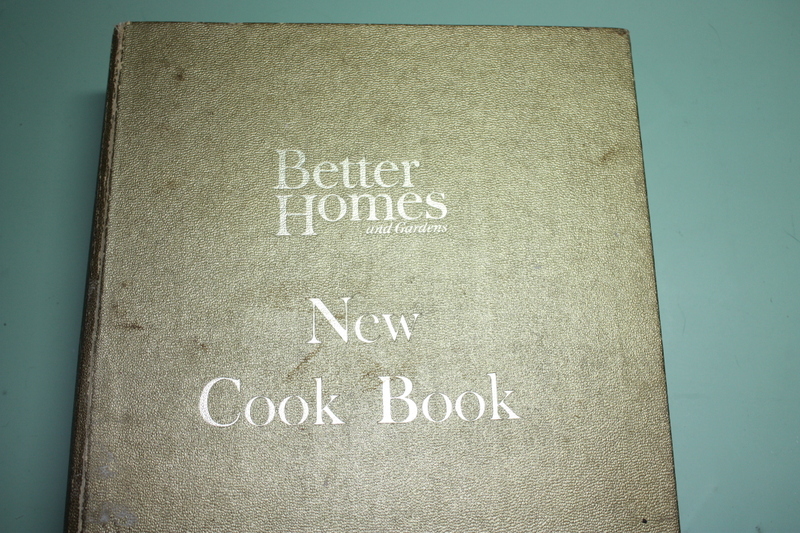 It took three weeks for the box--a 12 1/4" x 10 1/4" x 4" affair--to get slightly overful. 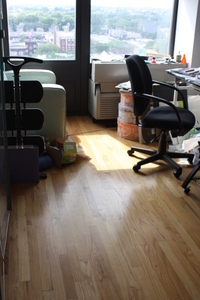 By that time, my desk had slid towards its former slovenly appearance as well, so this weekend I turned my attention to set things to right. 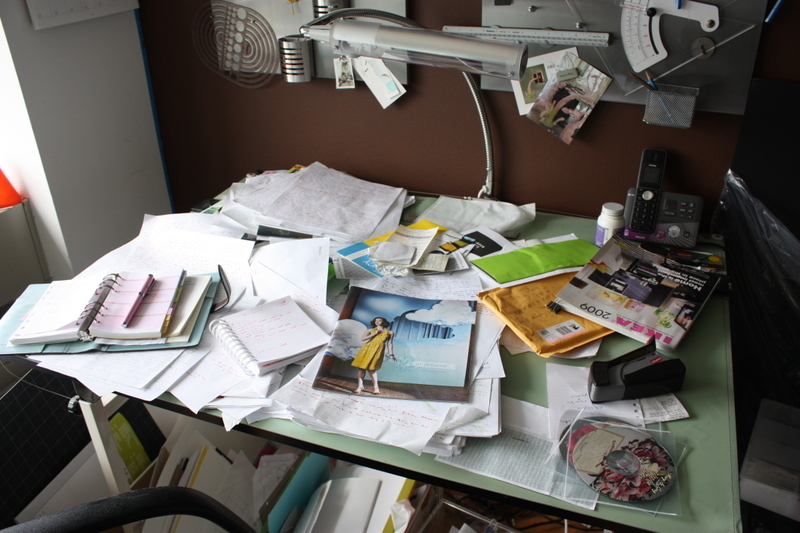 It took about 20 minutes to clear my desk and another hour and 45 minutes to file the things from the document box, which is about right: I seem to be able to file about 2" of paperwork an hour. In the end, I was completely caught up and ready to move on to the next thing on my List. When it comes to filing, I favor a two-pass approach: As I make my way through a pile of papers, I first make the decision whether or not I’ll keep the item. I’ve found that when I make the save-or-toss decision en masse in this way, the second part of the process, which is the actual filing, goes much more quickly. Yes, yes, yes, I'm aware that this flies in the face of Conventional Filing Wisdom, which, as discussed in yesterday's post, only works for people who don't actually need filing guidelines. But to paraphrase the subtitle of a popular how-to book series, if you're like the rest of us, trying to do everything at once--deciding what to toss and what to file, categorizing and preparing the keepers and then actually filing them--is over-ambitious. 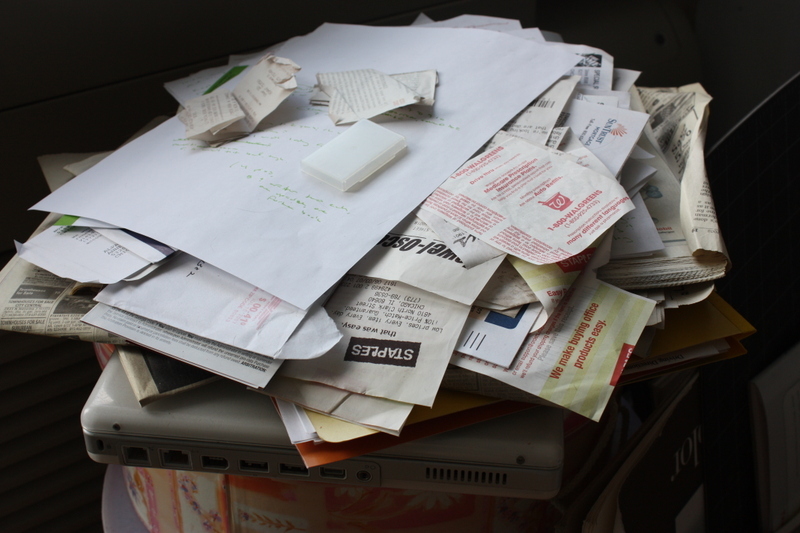 It's much easier to sift through a pile in front of a shredder with save-or-toss the only decision to be made. Those who are predispositioned to be a grind can make piles-by-topic of the things that need to be filed. Before the second part of the process, the filing part, I gather up my supplies: scissors, stapler, binder and paper clips, and my label-maker. I also make sure I have a variety of interior and exterior folders in each of the colors I use, so I can make new folders if need be. 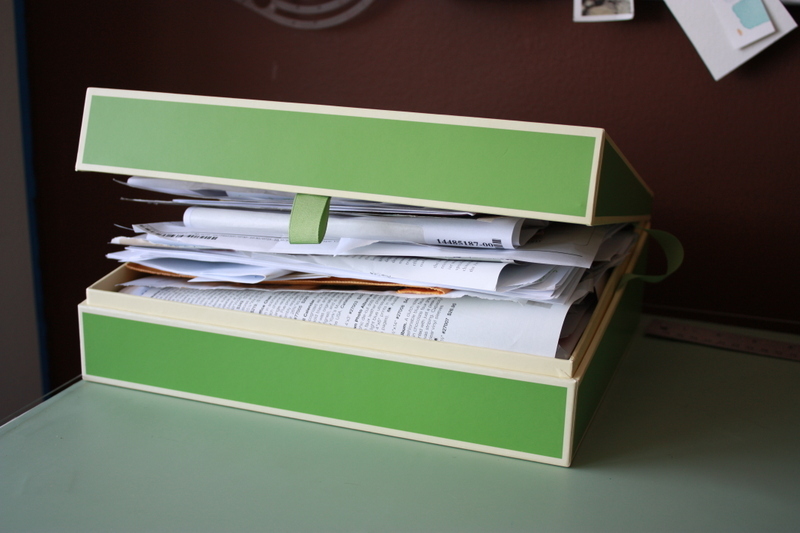 If the items have multiple pages, I put them in order and staple or bind them as needed before filing them away. Lickity Split, of course, is always happy to lend a helping paw. One of the fundamental rules of filing mandates you never read, scan, puruse, or otherwise allow yourself to be absorbed in what you are filing, nevermind the fact that you probably wouldn't have bothered to save something in the first place unless it was at least a little bit interesting. Such rules don't work because the people who make them up don't understand how a filing backlog can happen in the first place; their own files consist mostly of financial papers. It never occurs to them to keep a running file on a variety of interests, hobbies, ideas, and projects. 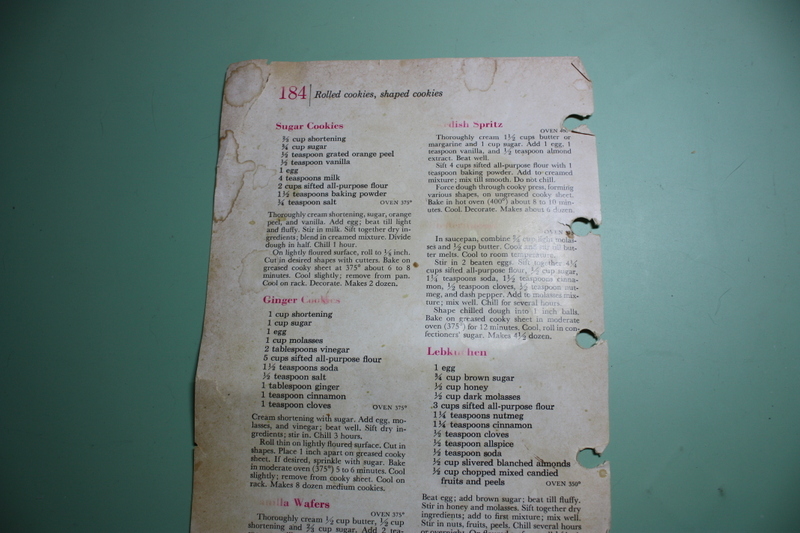 These are people who don't appreciate the entertainment value of decyphering a faded receipt; neither do they see the point of keeping old magazines or catalogs. A performance review from a former job or postcards from a friend's 1995 trip to Mexico hold absolutely no interest for them. If you happen to be one of these people, then you can follow conventional filing rules with great confidence, because Suze Orman or Julie Morgenstern can tell you exactly how long to keep your tax returns and that will be that. But the rest of us need to come up with filing stratgies of our own. As I dealt with my Supreme Paper Mess , I was continually assailed by articles, newsletters, brochures, manuals, project lists, alumni magazines, product information, old cards and letters, and journal entries, among other things, whose interest value rivaled the Olympics. Many of these materials had landed in the To File pile that consisted of the floor of my study precisely because I had intended to go through them but hadn't found the time. I didn't want to derail my efforts by settling down with a cup of coffee and a two year old copy of University of Pittsburgh's alumni magazine; neither did I have any intention of throwing it out before getting a chance to look through it. The compromise I made is one that has ended up working surprisingly well: I created a To Read folder. Whenever I have a few minutes, I pull an item or two out of the file and puruse to my hear's content. I'll take a catalog or magazine to work to look through on my lunch hour. 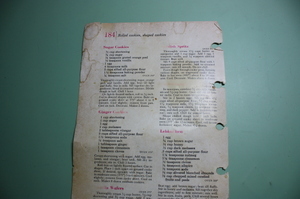 Most often when I'm done, I toss the whole thing; occassionally I'll clip a specific item or article. When I go home, I'll file the clipping in the appropriate folder. I also like to choose a few things from my To Read folder in the early evening, after I come home from work but before I'm ready to do anything new. I'm not a big TV watcher, and it's nice to develop a routine for such transition times. Time spent in a waiting room, waiting to pick the kids up from an activity or from school, commute time via train, or before-bed reading time are possibilities that might work for other people. 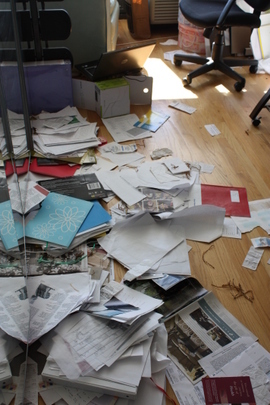 When I tell people that they Just Have No Idea How Supreme My Paper Mess Is, the most frequent response is, “Well, how bad can it be?” What they really mean is: I Wish You’d Post Some Pictures Already. And so I’ll oblige. Depressingly, it actually looked worse a couple days later after I'd already spent an hour going through things (right). This is because the kittens kept diving-bombing the piles I'd made. Then I started the filing, completely starting from scratch using the categories discussed in yesterday's post. After another hour, the pile was 4½” high; another hour later it was 3½” ; yet an hour more it was 2¼”; then 1¼”. I then spent a good two hours making new labels for the hanging files with the Smead labeling system I favor. Time-consuming, yes, (although much of that time was getting our old jack-of-all-trades-master-at-none scanner/printer/copier to cooperate), but I’ve found that the functionality of my filing system relies on the visibility of the file labels. I ended up using only 20 hanging folders, and had plenty of room left in my file cart. 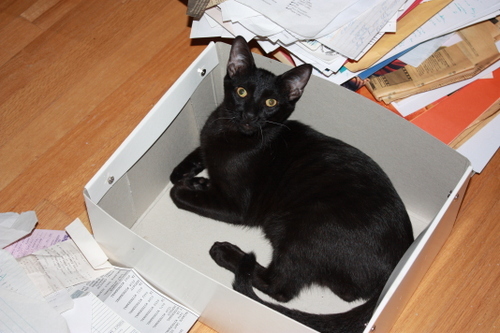 After another half-hour of filing. 11½ hours after I'd started (spread out over a number of days), I was done with the first leg of my Supreme Paper Mess. 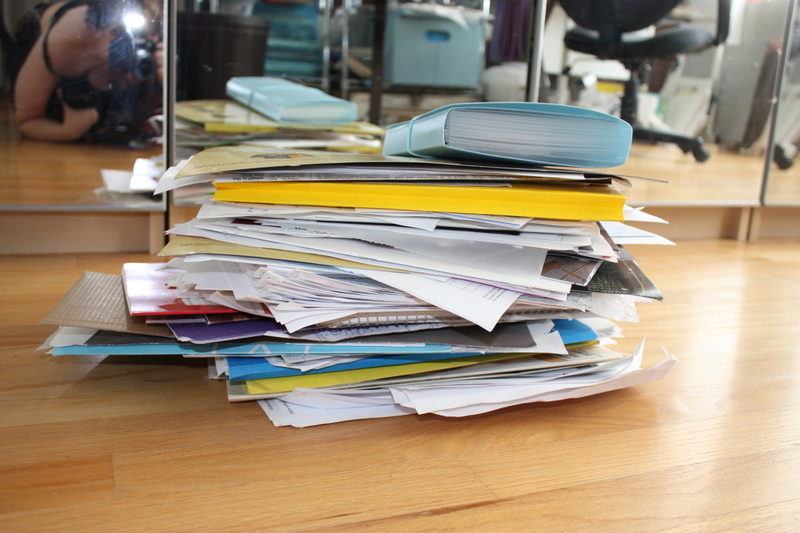 The key to reigning in Supreme Paper Mess is finding a good filing system that works for you. This seems obvious, but a quick Google search suggests it can’t be that simple or there wouldn’t be 1,310,000 results for “filing system”. Make that 1,310,001. 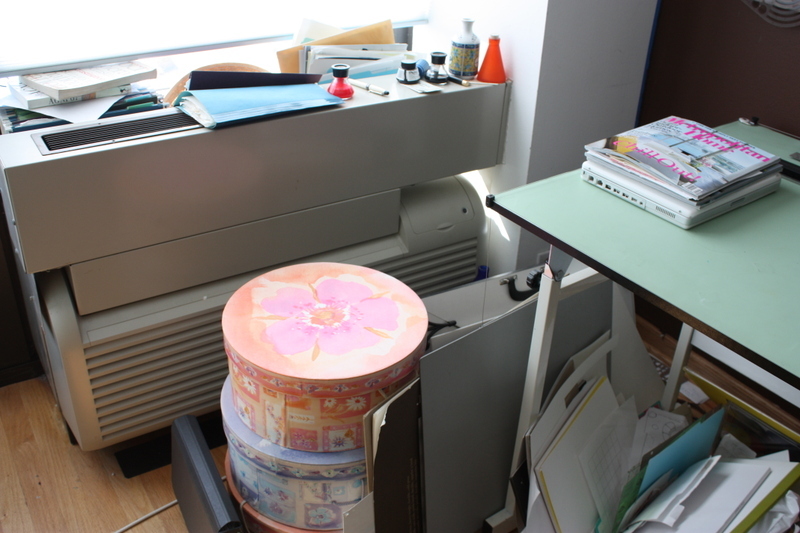 For me, the filing system sweet spot rests on a balance between expandability and restraint. I have little use for those pre-packaged filing systems with the tabs already printed out with categories that don’t apply while altogether skipping those that do. Furthermore, I need to be able to subdivide categories when the file has accumulated so many items that it becomes unwieldly. The challenge for me is to limit the number of files and subfiles I have. Blue = writing projects. Hanging folders for major writing projects; interior folders for Research, Contacts, etc. for the particular project. Red = action to take; also used for work Hanging folders for To Do, To Read, Work; interior folders for sub-categories, like Flex Spending or Performance Reviews by year. Yellow = home. Hanging folders for Warranties, Owner’s Manuals, Condo Association, Design Projects; interior folders for each project. Green = finances. Hanging folders for Monthly Bills, Taxes, Insurance; interior folders for each the type of bill (Phone, Cable, etc. ), tax year, and type of insurance. Purple = fun. 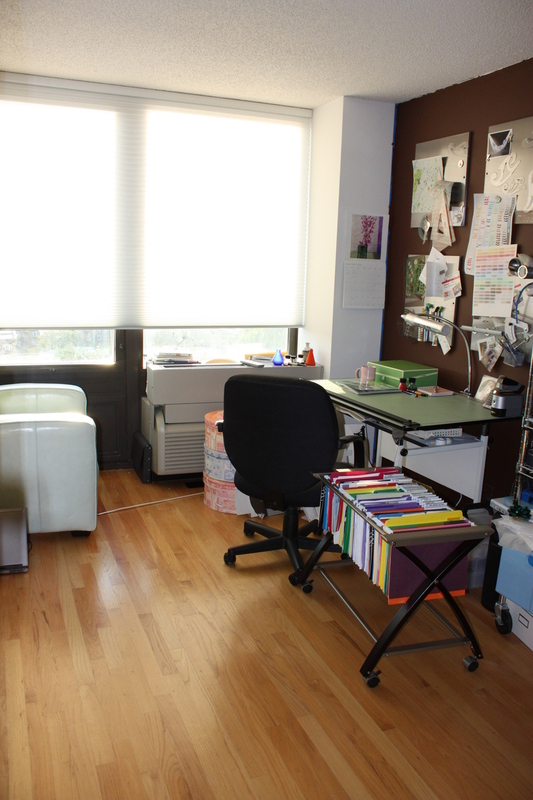 This includes creative projects and vacations; also used for design school. Hanging folders for each class, general school information, Scrapbooking, Needlepoint, and Vacations; interior folders for the different assignments or different aspect of school (Admissions, Library Resources), vacation destination, or project for the crafting folders. Orange = family. Hanging folders for my Dad, my brother and sister in-law and their kids, and my sister and brother in-law and their daughter, where I file correspondence, gift ideas, etc. Gray = diet/heath. Hanging folders for Fitness Assessment, Diet, Exercise. When I began to tackle the Supreme Paper Mess, I decided to start anew. I didn’t want to be distracted by having to make room in the old filing cabinets I have, nor did I want to have pilfer folders already in use. The importance of allowing oneself to buy new supplies—and then using that fun, excited energy to help follow through with a task is something I learned from celebrity organizer and author Regina Leeds in her book, The Zen of Organizing. And so I bought a box of multi-colored hanging files, along with box of matching interior folders. 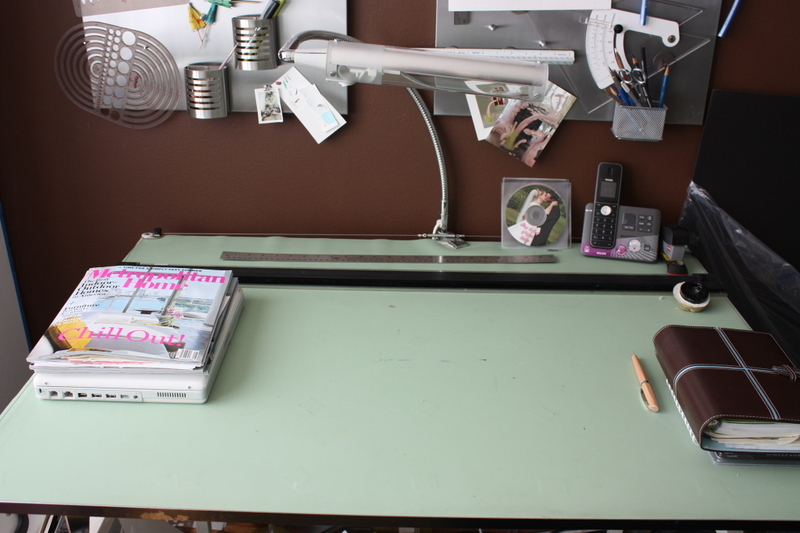 As a special treat, I bought a rolling filing cart that I especially like because it’s almost twice as long as normal carts and it fits nicely under my desk. I got refills for my label maker, and gathered up all my supplies: stapler, scissors, label maker, pen, notebook, hanging and interior folders, and hanging folder labels. And then I went at it. I have several friends who subscribe to the idea that some place, some where, wandering this earth is their Soul Mate, that one person who understands their every thought, finishes their every sentence, likes everything they do, and never leaves the toilet seat up in the middle of the night. I believe in soul mates but think if they find you in this life, most likely it's so they can get back for something you did in the last one. How else to explain the neatnik-slob attraction? My husband is not a neatnik but finds paper in all its permutations—receipts and take-out menus, flyers and coupons, newsletters, junk mail of all types, notices important and not, newspapers and journals and magazines, business cards and scribbled lists and any kind of packaging—as an annoyance, and so throws it all out. This horrifies me, which in turn horrifies him, and soon enough we engage in a never-ending cycle whereby each of us is convinced we are saving the other by undoing what the other has done. After nineteen years, we’ve come to an uneasy truce: my husband gives me (most) of the paperwork, which is to say that my big prize is that I get to do all the filing. I don’t know exactly how this happened, but suspect past-life payback is somehow involved.